Honora Kelly of Galway Bay had her life worked out. She was to become a nun. Her parents wanted this for her and she was quite willing. She was just about to start her days in the convent when she saw a mysterious man and his horse rising out of the sea. This man, Michael was to change her destiny forever. It was love at first site, Honora wasn't going to be a nun after all. Yes, her parents were disappointed as they wanted a better life for her. Yes, in Ireland, the convent was a better life. However, her parents really liked Michael and eventually agreed to giving their daughter's hand in marriage. Michael and Honora Kelly made a life for themselves farming. They raised horses and a variety of crops. Most of the crops went toward paying rent to the brutal English landlords but the potato crop was for the family. They had an abundant supply of delicious, life sustaining" pratties". Enough to sustain their growing family. Then the potatoes blight happened. It was the beginning of the potatoes famine for the entire country. The first year, they we able to selvage a few pratties. They found a way to survive. However, the second year there was nothing to selvage. Michael had to walk miles to work breaking up rocks for the government for pennies a day. The family lined up for soup every night, and every once in a while Honora's father, a fisherman, had fish to sell. The third year it was announced that there would be no more government jobs or soup lines. The land lords wanted the Irish families to leave and if that meant dying, that was fine with them. Michael and Honora made the gut wrenching decision to leave their beloved country and head for "Amerikey". This book has something for everyone. 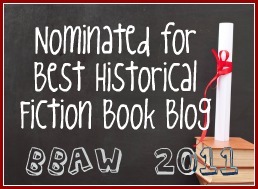 It is Irish historical fiction, a family saga, a story of the American immigrant experience, and even a romance. It started off a bit slow for me however, there was quite a bit of Irish mythology at the beginning that wasn't to my taste. I'm sure that there are other reader who would enjoy this part. Within about 75 pages, I really warmed up to the story. So much so that I became a part of the Kelly family every time I picked up the book. I experience their joy's, sorrow's and triumphs along with them. I even felt that pangs of hunger that the family suffered. 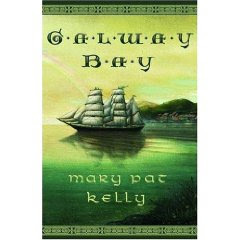 Mary Pat Kelly has a poetic writing style that sweeps the reader in. Her strong characters are well drawn out and is the landscape and back drop. I highly recommend this book and look forward to reading more by Mary Past Kelly. This book sounds really good! Hopefully it will come out here eventually! I've seen this one on another blog and it does sound very good! That's about the amount of time that it took me ti get into this book as well. I though they jumped into the mythology too soon before I had even gotten a good grip on the characters, but like you said once past those 50-75 pages it is smooth sailing and a great read. Marg,Naida, and Robin, it was really good! I think you would enjoy it. Nicole, your the first person who has agreed with me on that one. If it wasn't for that it would have been a 5 star book for me! I adored this novel and have 3 to giveaway...I would put this on my top 10 list for 2009. Ana, I look forawad to hearing what you think when you read it. Serena, Yep, it was a goodie. I am giving away one copy on So Many Precious books.